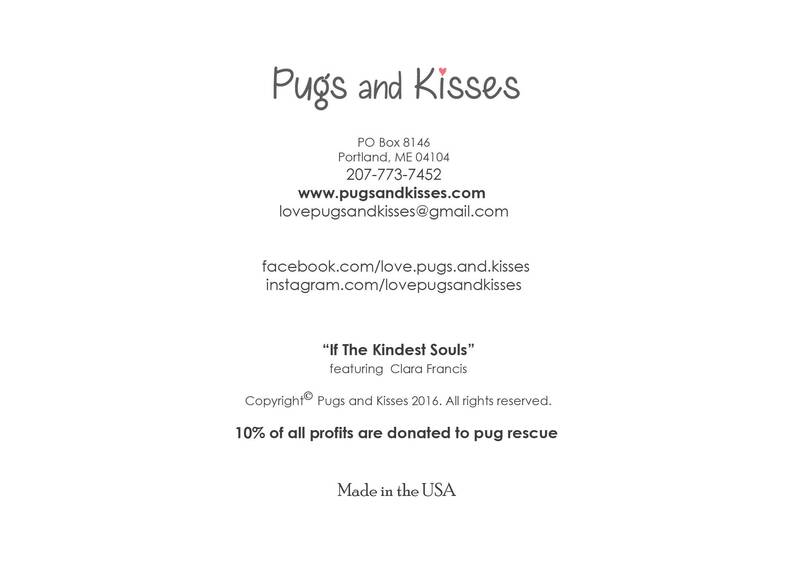 This item is one, "If the Kindest of Souls," beautiful 5x7 sympathy pug card featuring precious Clara Francis dePug. ...pugs would outlive us all. Isn't it true? Pugs really are the sweetest! 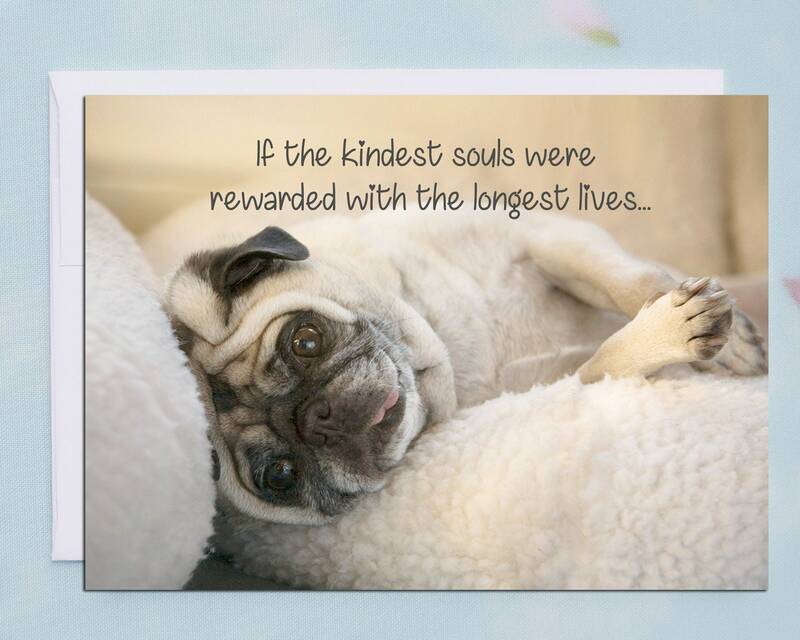 This card is a heartfelt remembrance for a special pug who has passed on. 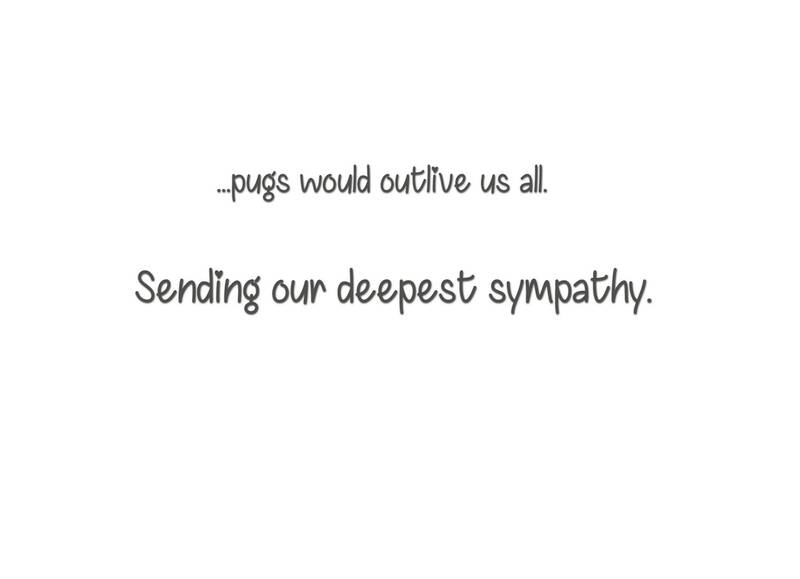 We know it will send a hug and brighten the spirit of those who are going through the grief of a precious pug passing on.